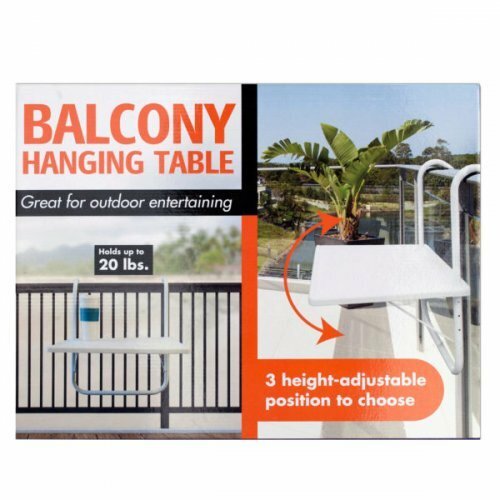 Great for outdoor entertaining, this All-Purpose Balcony Hanging Table features durable plastic and metal construction with 3 height-adjustable positions to choose from. 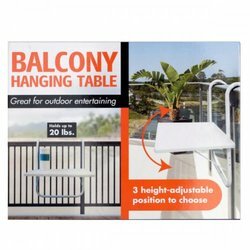 Table measures approximately 20" x 15.5" and holds up to 20 pounds. Comes packaged in an individual box. Box measures approximately 20.625" x 2.375" x 16.25".